FORT LAUDERDALE, Fla. -- In the rarefied world of high-end bong makers, Roor glass water pipes have long been smoked to impress. The status symbols are so sought after that some models command prices of $1,000. There's even a diamond-studded, gold-gilded Roor that goes for nearly $4,000. Both marijuana and the tools used to smoke it remain illegal under federal law, but that hasn't stopped Roor and its American licensee from using the federal courts to protect the brand and its sales. In Florida, California and New York, lawyers are accusing smoke shops and mom-and-pop convenience stores of selling counterfeit Roor bongs in violation of U.S. Trademark No. 3675839, protecting "SMOKER'S ARTICLES, NAMELY, GLASS PIPES, BONGS, WATER PIPES, (and) WATER PIPES OF GLASS" sold under the Roor mark, which has "a stylized font with the last "R'' facing backwards." "Counterfeiting is a huge problem for us," said Jay Farraj, the owner of Sream Inc., Roor's U.S. partner. He said the Corona, California, company's losses have been in the "millions." Now that marijuana has increasingly been legalized for medical or recreational use in some U.S. states, consumer demand for such drug paraphernalia is booming, and imitators of the German pipe maker abound.But the bong market remains a gray area legally. Most makers and sellers advertise them as tobacco pipes, while giving a wink and a nod to their use with marijuana. Alison Malsbury, a Seattle lawyer who specializes in marijuana trademark law, said this marketing sleight of hand could be the best defense against Roor's lawsuits. The accused sellers could challenge the legality of the company's 2009 trademark, which specifically calls its product a bong. If a product violates federal law, it can't be trademarked. And Roor, she said, would have to show it never went after the pot market - which might be hard given its bongs have won numerous awards in High Times magazine's annual Cannabis Cup competition. She said this might be why many of these lawsuits have settled and none have gone to trial - neither Roor nor the sellers want to discuss their business before a judge. "To go into court and say under oath that what you are doing is a crime, that's something a lot of people are unwilling to do," she said. 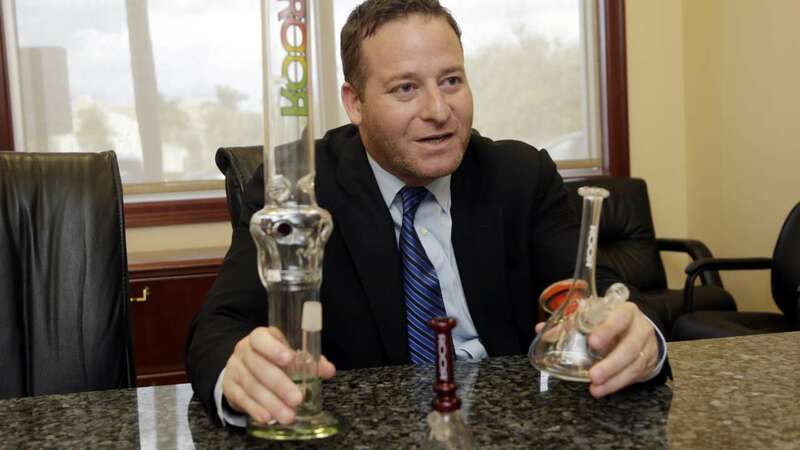 Attorney Jamie Sasson, whose firm represents Roor and Sream in the Florida lawsuits, denied this, asserting that the company is perfectly willing to go to trial if necessary. While cheap, generic bongs go for about $15 online, Sasson showed off a counterfeit Roor in his office thathe said was purchased for $90. If authentic, that size and model would sell for $400. The glass felt thinner and weaker than two legitimate pipes. He said the counterfeits, believed to be made in China, are hurting Roor's reputation. While refusing to confirm the settlement amounts requested, he said a penalty of about $12,000 for breaking the law was "a good number. It doesn't put anyone out of business. It stings but it is not going to cripple." 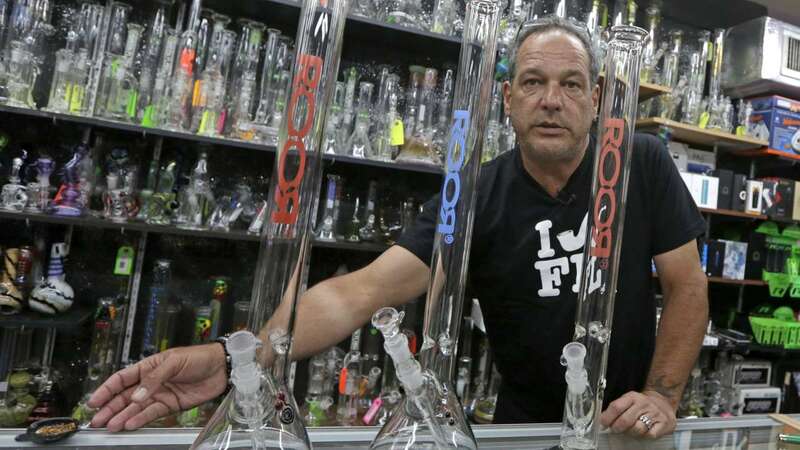 Smoke shop owner Jay Work calls the Roor lawsuits legalized extortion of smoke shop owners who are vulnerable because they sell bongs in a "gray" market where "you look not to ruffle feathers." He said he unknowingly sold $1,200 worth of counterfeit Roor bongs he got from a distributor at a convention. He said he offered to surrender his $600 profit, and then the whole $1,200, but Sasson's firm demanded $14,000, and then $12,000 if he also bought $2,000 in Roor pipes. In late December, Roor unexpectedly dropped the lawsuit without explanation. He says Farraj is exaggerating his losses. 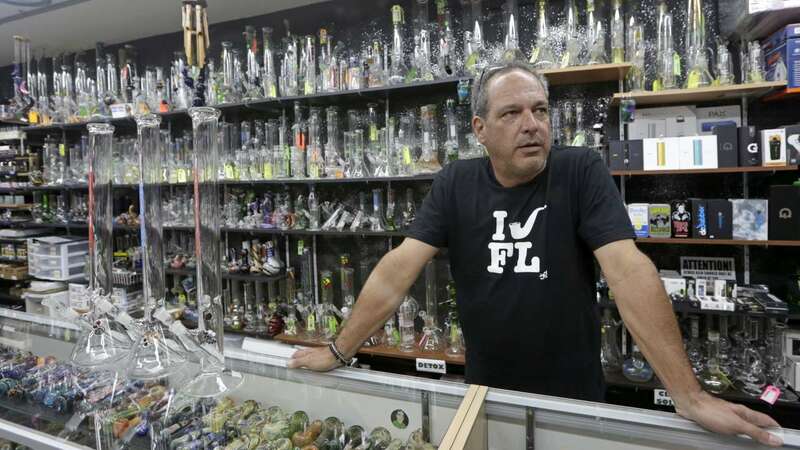 "This is all about generating lawyer fees," said Work, who owns the five-store Grateful J's chain and is former president of the Florida Smoke Shop Association. Steve Bloom, editor of Freedom Leaf magazine and publisher of celebstoner.com, said Roor remains a status symbol among serious marijuana smokers, but has lost dominance to other top-end bong makers. "Roor was the one to get if you wanted to spend money - people would be impressed," Bloom said. Are they worth it? Bloom compared bongs to stereo equipment - some people can tell the difference in the sound or smoke produced by expensive gear, while others can't. Work was dismissive, saying "you can't tell one water pipe from another." Work said Roof's craftsmanship doesn't match its reputation. He pulled out three Roor pipes and put them on his store counter, pointing out the flaws in two of them. One has a slight lean when standing on its base. Another has a connection that isn't smooth. "I can't get rid of them," he said, complaining that it took him six years to sell most of a 100-pipe shipment from Roor. 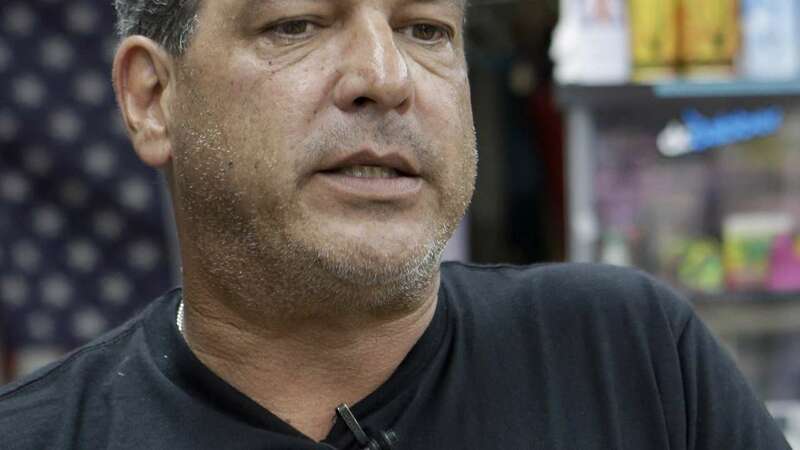 Ken Minerley, a South Florida lawyer representing six smoke and convenience stores being sued by Roor, said some of his mom-and-pop clients sold a single fake Roor pipe to an undercover company agent after buying them from a distributor who also sells underwear, toiletries and other goods. He said a cease and desist letter and perhaps a demand for $1,000 would be enough to keep counterfeits off shelves. "It seems like they have made a business decision that it is more profitable to sue these people than it is to sell their products," Minerley said.